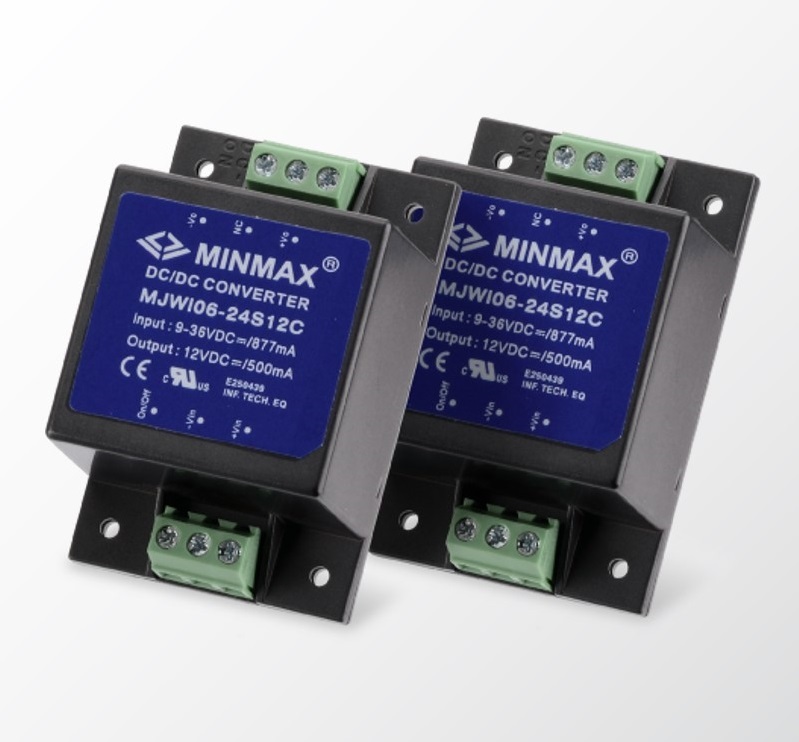 MINMAX Technology has announced the MJWI06C/MKWI10C series of fully encapsulated 6 W to 10 W DC-DC converters with chassis and DIN-Rail mounting package which can be directly installed in server rack, data cabinet and outdoor telecom/industry equipment. The MJWI06C (shown)/MKWI10C Series both consists of 18 models offering 9-36 VDC or 18-75 VDC input ranges with single output models ranging fro 5 VDC to 48 VDC and dual output models ± 15V, ±24 V delivering 6 W to 10 W of output power. Further features include I/O Isolation of 3,000 VDC, high average efficiency up to 86%, operating ambient temperature range of -40°C to +87°C, no minimum load requirement, built-in EMC filter for EMI emission EN55032 Class A without additional components required, and under-voltage/overload/short-circuit protection. All models have been qualified per the CB scheme with safety approvals to UL/cUL/IEC/EN 62368-1 standards.